Want to increase your online presence? Hundreds of millions of internet users are watching videos online. Now marketing messages that were once limited to text, c an come alive with sound and moving images. “Infotainment” (a relatively new industry word that combines “information” and “entertainment”) provides more brand exposure through increased clicks on a website. Often strong videos are further spread on the internet, having a positive viral effect. One other benefit of videos is that visual and auditory learners can retain more in an era of information overload. Today’s technology has advanced so much that it is easy for business owners to create videos in a cost-effective manner. Although it is clear that they are popular and impactful, this marketing medium is not widespread in most industries. That is why early adapters are gaining a competitive advantage. 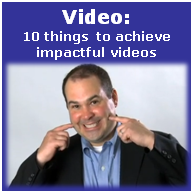 Here are ten things to achieve impactful videos. 1. Have a strategy. Know what these communications are for and how they fit in your business plan and marketing mix. 2. Be focused and to the point. Research what your target market wants to watch and then fill their need. Cut out what is not necessary. Keep the footage short and digestible. 3. Be personable. Let your true personality come across so the viewer can get to know you without officially meeting you. Know what you want to say, but avoid reading scripts. Videos can evoke emotions much more than text, so take advantage of that potential benefit. 4. Be professional. 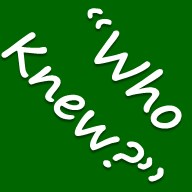 What is published can be a permanent record once it is shared, so avoid doing anything that you might one day regret. All footage should be in line with your firm’s overall brand standards. 5. Make it high end. If you don’t have the money to hire a production company, today’s technology allows for individuals to do it on their own at a relatively low cost. Make sure to use a quality camera, tripod and lapel microphone to improve sound quality. Also, pick a setting with proper lighting that matches your brand image. If you are not comfortable with the technology and all the fine points of recording and producing a video, hire a professional that can help splice in related images, graphics and sounds to better get your message across. 6. Include a call to action. Get the viewer to do what you want them to do after watching the video, whether it be forwarding it to their network (viral marketing) or contacting you for a specific purpose (direct video marketing). 7. Benefit from search engines. If you use YouTube, Flickr, or another video sharing site, describe each piece with the right key words so the videos come up on related searches. 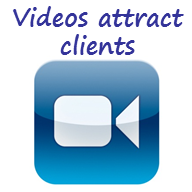 Videos can also increase traffic to your main website, increasing your brand awareness and sales revenue. 8. Communicate. Use your website, emails, etc. to spread the word to your clients and prospects. In addition, maximize the videos’ exposure utilizing social media. 9. Intend a long shelf life. If you can, avoid including content that will become outdated in a short period of time. 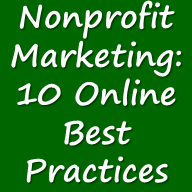 Unlike standard advertising, online videos will not cost anything for them to stay active. 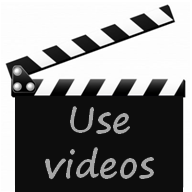 On the main website, consider rotating videos in and out to keep content refreshed. But remember, some repetition is good to help get the message across. 10. Analyze your results. Track the hits and evaluate the sources of the viewers. With every new video, become smarter at fulfilling the marketing purpose of your videos. If you are not already taking full advantage of this communication tool, make a plan to do so this year. Contact Byrnes Consulting to develop or improve your video strategy as part of your overall marketing mix. I agree about the power of video. For me, working in government communications, we are increasing the impact of our traditional PR activity by adding visual content. Regional media are hungry for online content and we can see that readers are migrating to online sites for information gathering. they also look for information on YouTube and increasingly on Facebook. So no-one in PR should be without video as part of their e-communications toolkit.